This hammer has bright neon green tips and may have a trace of purple speckling. These frags are 1-2 heads and roughly 2" across when fully expanded. Hammer corals are an iconic large polyp stony coral (LPS) that has been a staple in the hobby for generations. They are found all throughout the Pacific reefs and come in a variety of colors and growth forms. Hammer corals sometimes grow in a wall formation while other hammers grow in a branching formation. Either variety makes an excellent show piece coral for a reef aquarium however the branching varieties tend to grow more quickly. Please see below for additional care tips for hammer corals as well as checking out our Top 5 Tips for setting up a reef. Hammer corals are found all over the Pacific reefs. 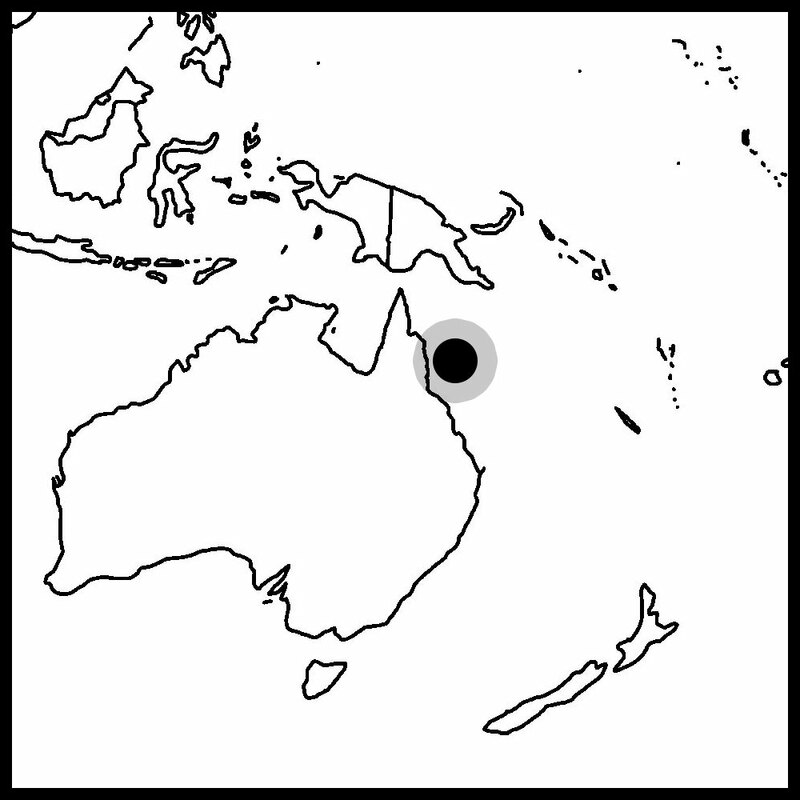 They are regularly found throughout Indonesia and the Great Barrier Reef in Australia. Hammers, Torches, and Frogspawn do not require as much light as some other corals. It can be kept under normal output fluorescents without much difficulty. Hammer corals may extend more readily under subdued lighting, however it may display more attractive colors when placed under stronger lighting. Generally speaking though, these corals maintain consistent coloration and the risks of overexposing the corals to high light outweigh the benefits. Like most coral, Euphyllia rely to a large extent on photosynthesis, however, they also benefit from direct feeding. Hammers, torches, and frogspawn do not seem to aggressively feed like other LPS, so finding the right food can be a challenge. We have had some good luck with a dry pellet food called Sustainable Aquatics Hatchery Diet. It is intended for use with small fish, but we have tried feeding it to corals like the Euphyllias, which tend to be finicky eaters, with good results. Euphyllia are one of the corals known for extending long sweeper tentacles. Sweeper tentacles are often used as a means of defense against other encroaching coral colonies. Their white tips contain a high concentration of nematcysts that can damage more delicate tank mates. Most of the time, this is not a major problem but to be safe, we recommend placing it in a location far from other corals initially. Hammer corals have been propagated extensively in captivity and is an excellent candidate for aquaculture. In fact, many of the hammer corals we keep are sourced from local hobbyists. The branching varieties tend to be much better candidates compared to the wall varieties because of healing and growth rates. It is reasonable to believe that a sustainable harvest can be achieved in time.